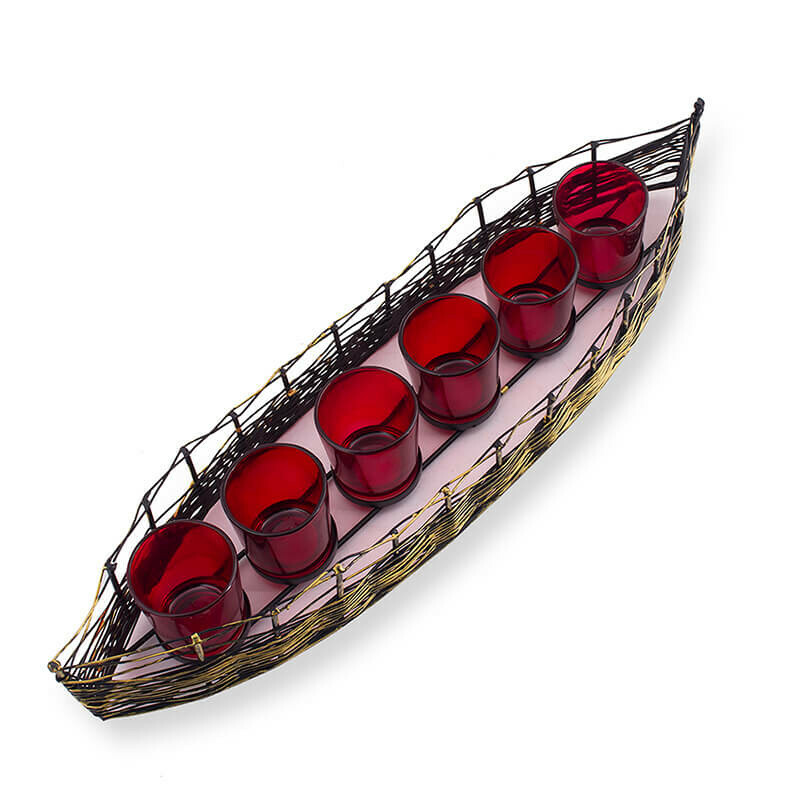 Float away with these incandescent burning votives on a long sail. Bon Voyage!!! Hand Crafted from Iron and black powder coated to give it unique finish and long life. The Wire mesh is given an atique finish by brown Golden paint to enhance its look. 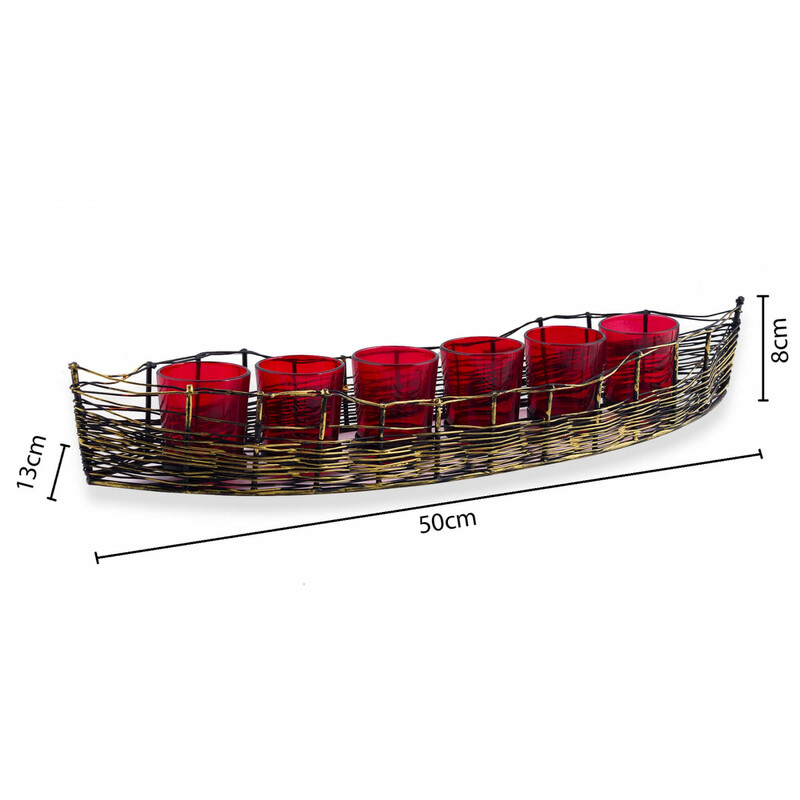 This piece comes with Six votive with colour choices, to suit your home decor. 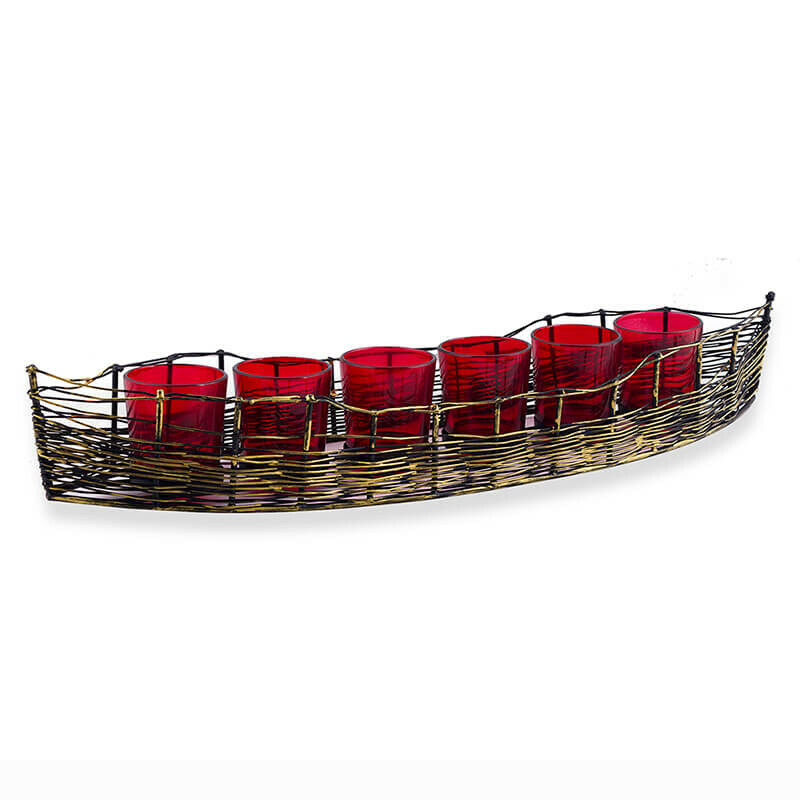 Just light the votive and let your walls glow with the rich colour.